There are two artists called Trixter. One is a rock band from New Jersey (1) , the other a songwriter from the UK (2). 1. Trixter is an American hard rock band from Paramus, New Jersey. The band achieved moderate success in the early 1990s but disbanded for several years as 80s style rock lost mainstream popularity. The original members reunited in 2008 to tour and record new material. 2. Trixter is a songwriter/performer of experimental electronic music who has worked with a number of well-known pop acts in the 2000s. 1. Trixter is an American hard rock band from Paramus, New Jersey. 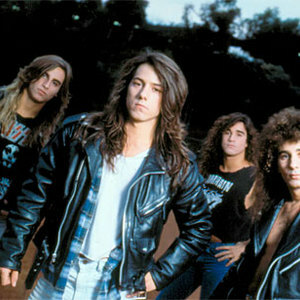 The band achieved moderate success in the early 1990s but disbanded for several years as 80s style rock lost mainstream popularity. The original members reunited in 2008 to tour and record new material. 2. Trixter is a songwriter/performer of experimental electronic music who has worked with a number of well-known pop acts in the 2000s.